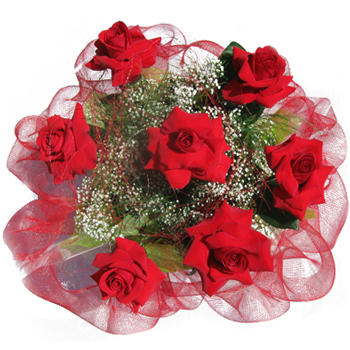 The bouquet of classic red roses is always the right choice that will be appropriate for any occasion. Fresh and fragrant roses combined with white veil-herb make up a gift of style and class. Order this gift today to send your best wishes to your friends, colleagues, loved ones or family members.